Investment: Donation-based class (cash is preferred, but an online payment method will be available before/after class!) Please visit http://www.gangapremhospice.org for more information. We are stronger together; come be a part of the loving power of community! 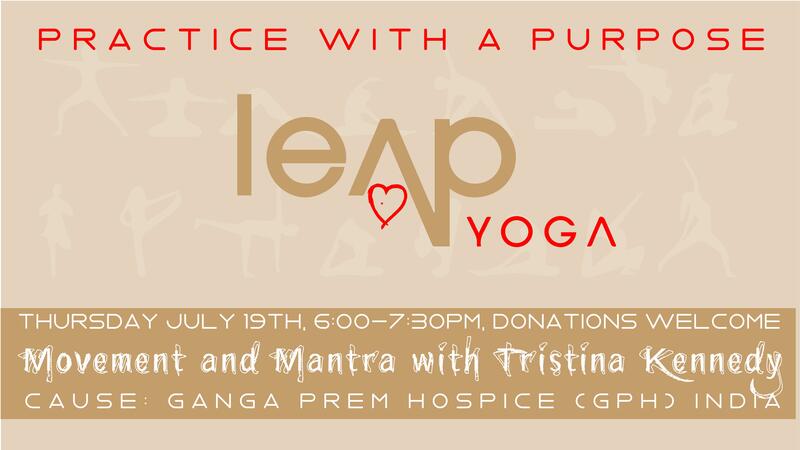 Join Tristina and special music guest, Chuck More, for a donation-based class to raise funds for Ganga Prem Hospice (GPH) in India. Enjoy a soulful evening experience that includes live music and mantra during an inspiring and playful all-levels vinyasa practice. You will also get to view a short video, giving you a look into the inspiring work that GPH is doing! GPH is a spiritually oriented, non-profit hospice for terminally ill patients with cancer. 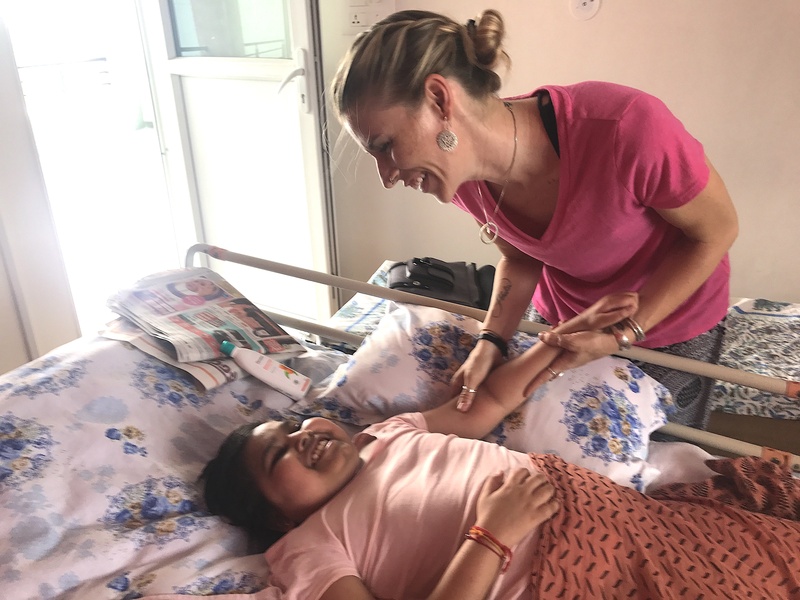 They offer inpatient care, free cancer clinics, a daily home care program, bereavement service, and palliative care training in Northern India. Tristina & Michael will be spending two weeks at the hospice in September, helping the staff care for terminal patients in dire need of assistance making a comfortable, loving transition. Please visit http://www.gangapremhospice.org for more information. No amount you give is too small – every penny will be greatly appreciated and put to good use!